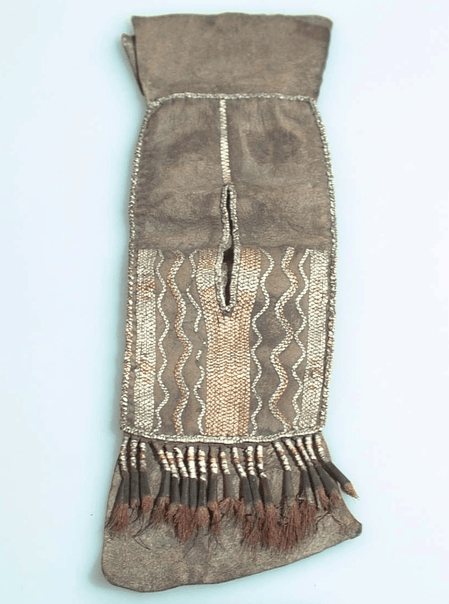 This is a belt bag from the Lenape in New Jersey, dating to the last quarter of the 1700’s. 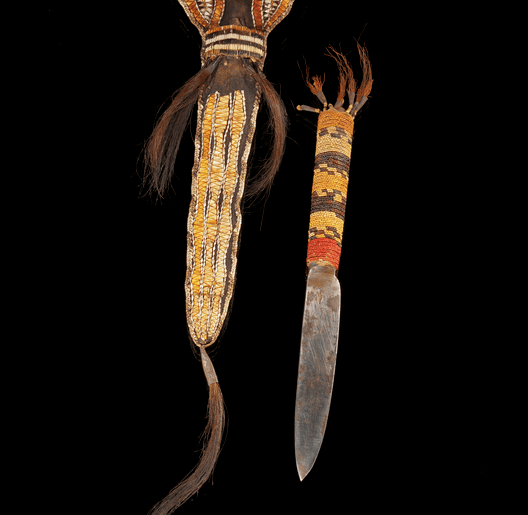 It is made of metal cones, deer hair, dyes, porcupine quills, and hide. It measures around 10′ wide x 24″ long. For source and more details, click here.